Catherine Elizabeth (Davis) Yeager, age 94, of Carlisle, passed away on Wednesday, January 23, 2019. Catherine was born on Monday, December 1, 1924 in Enola to the late James Hamilton Davis and Edna Mae (Forney) Davis. Catherine was the widow of Homer “Bud” Yeager, whom she married in 1975, and who died on March 20, 1992. In addition to her parents and husband, Catherine is preceded in death by her daughter, Catherine “Cathy” Elizabeth McAlister; and her three siblings: Joseph Davis, Florence Rudy, and Wilbur Davis. Catherine’s survivors include her sister, Ruth Radabaugh of Enola; and several nephews. Catherine retired from Alva Restaurant in Harrisburg, after more than 30 years of service working as a waitress. She was a lifelong member of St. Paul’s Evangelical Lutheran Church in Enola, where she served on church council and willing workers. Catherine was a member of the Shriner’s Senior Center and Golden Age Club, both in Enola, where she enjoyed organizing bus trips for her fellow senior center members. She also liked to knit and play cards, especially Pinochle. All are welcome to join Catherine’s family at her viewing on Monday, January 28, 2019, from 12:30 p.m. until time of service at 1:30 p.m. at Myers - Buhrig Funeral Home and Crematory, 37 East Main Street, Mechanicsburg, PA 17055; with Pastor Anne-Rose Reeves officiating. Burial will follow in St. Paul’s Evangelical Lutheran Church Cemetery in Enola. Catherine’s family invites everyone to join them for a time of food and fellowship at her church following the burial. Contributions in celebration of Catherine’s life can be made to St. Paul’s Evangelical Lutheran Church, 6839 Wertzville Road, Enola, PA 17025. Catherine’s family has entrusted her care to Myers – Buhrig Funeral Home and Crematory in Mechanicsburg, (717) 766-3421. 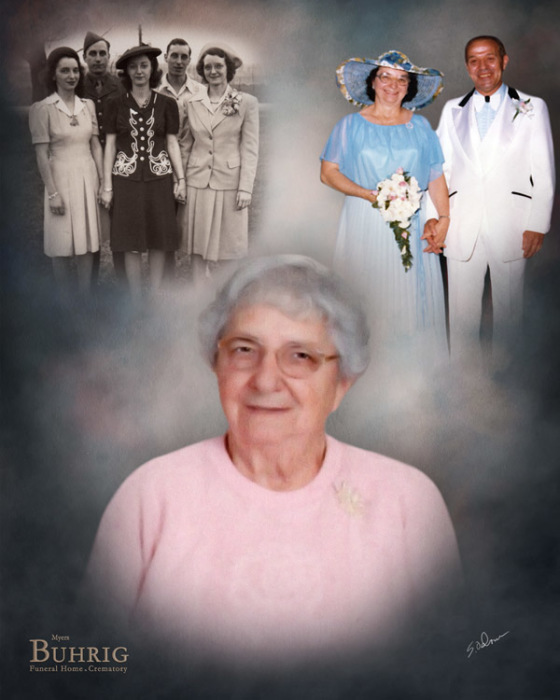 Read Catherine’s full obituary, view her memorial video and portrait, and sign her official guest book at Buhrig.com.